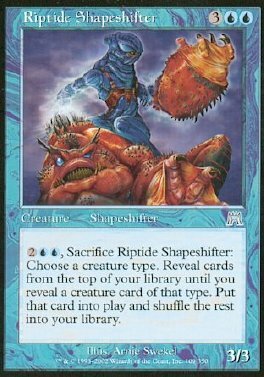 2UU, Sacrifice Riptide Shapeshifter: Choose a creature type. Reveal cards from the top of your library until you reveal a creature card of that type. Put that card into play and shuffle the rest into your library.